What criteria are paramount for a once-in-a-lifetime vacation? Beautiful beaches, beautiful snorkeling, world-class food, and some adventurous excursions too? We were searching for all of this, and thought, how about Fiji? Geia sas, and welcome to Greece! 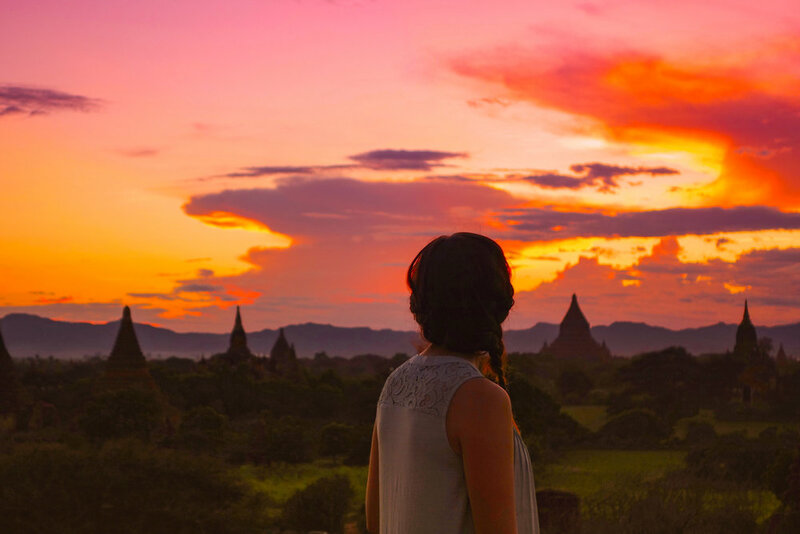 This mythical land offers idyllic, laidback villages, a rich history, and some of the best sunsets in the world. Greece has earned its name as the cradle of Western civilization, as it is home to some of the world's greatest ancient monuments. After exploring some of your own ancient history, it’s a short journey out on the water to experience some of the most beautiful islands scattered across the Aegean Sea. The goal: finding your favorite Greek isle. Another sun is setting as thousands of ancient temples fade from view. I can still make out a red-brick temple nestled in a grove of palm trees. Everywhere I look are traditional Buddhist structures with fine details and elaborate entrances. Over there is a five-sided monument topped by a white and gold dome and surrounded by a high wall. This is Bagan in central Myanmar. Here, in an area of about 16 square miles, it is estimated that more than 10,000 temples, mostly Buddhist, were constructed during a religious frenzy that lasted from the 11th to the 13th centuries. About 2,200 have survived, though many have been damaged by earthquakes, floods and invasion. Follow us as we visit a city lost to time, a land of a thousand temples, and a mysterious water world.